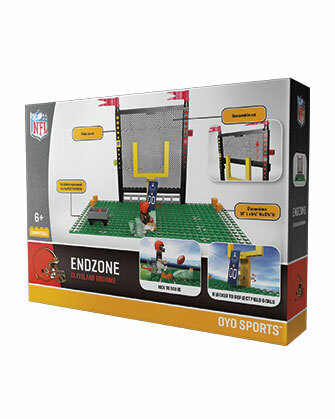 Our new generation of buildable football field sets has arrived! 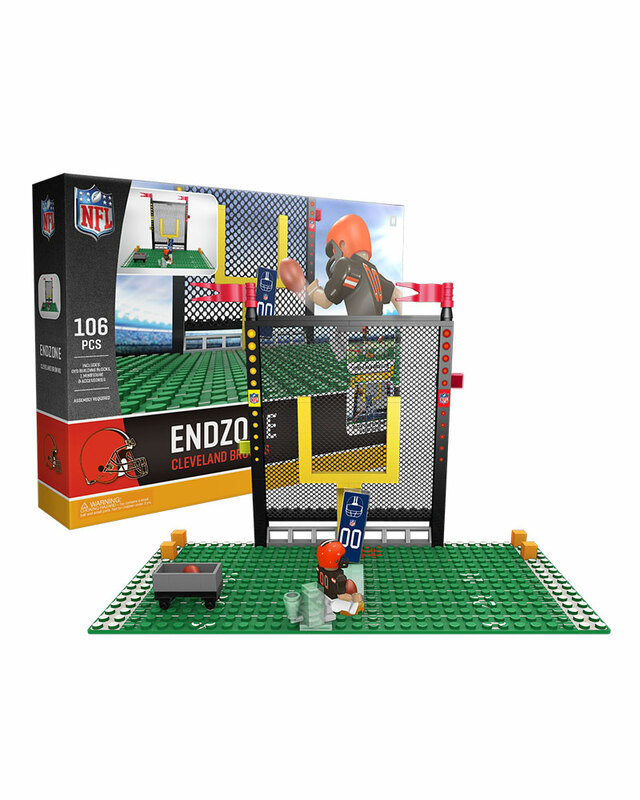 This digitally printed EndZone has your favorite team's logo printed in full color, to match the one on the actual field! 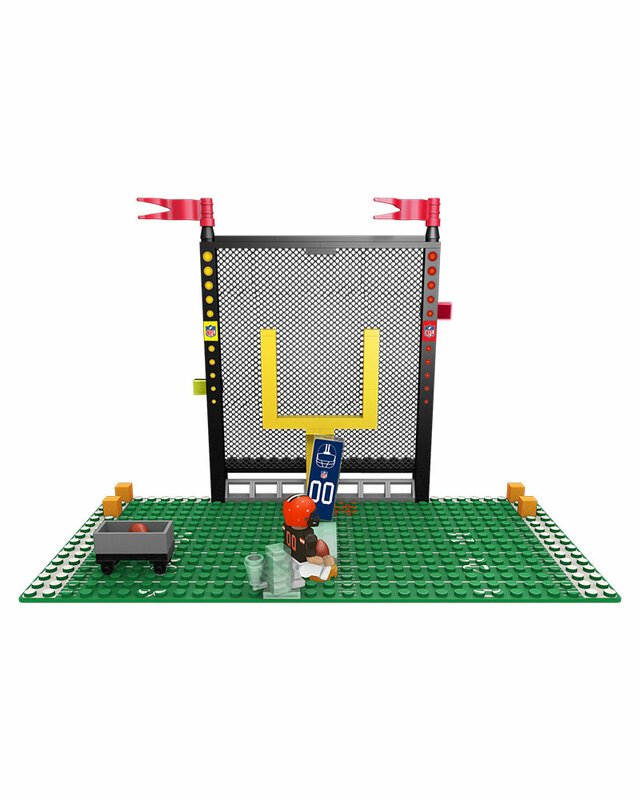 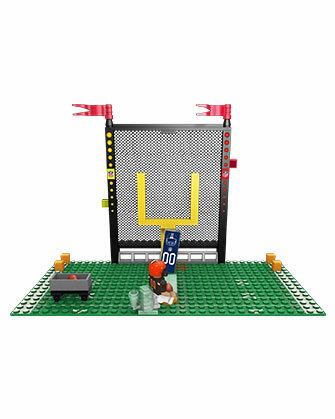 Play action is now part of your building experience, as your minifigure kicks field goals!. 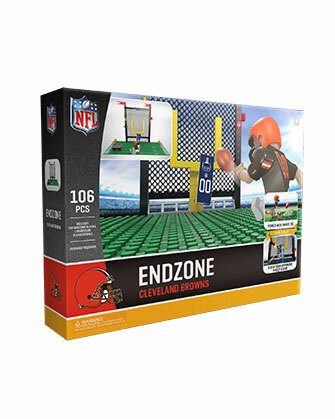 1 swiveling tee to kick field goals. 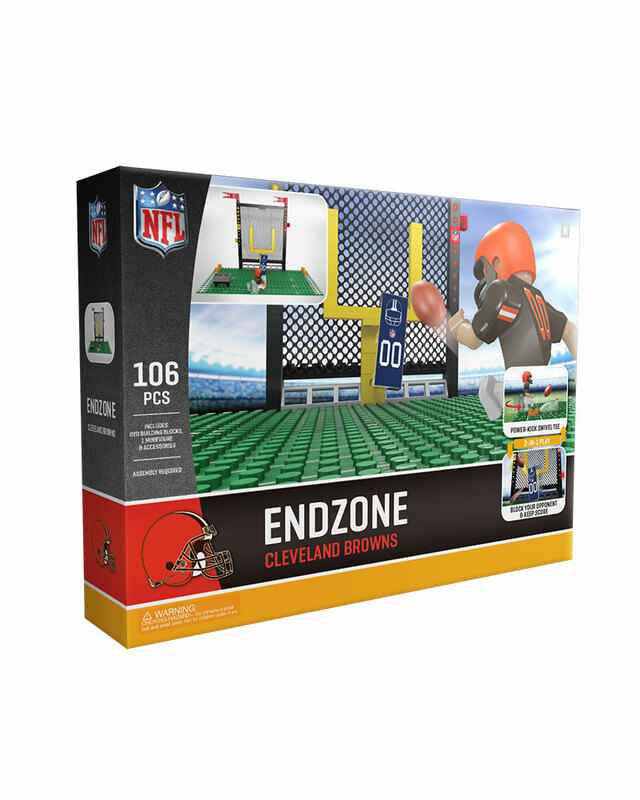 Compatible with leading brands of building block toys. 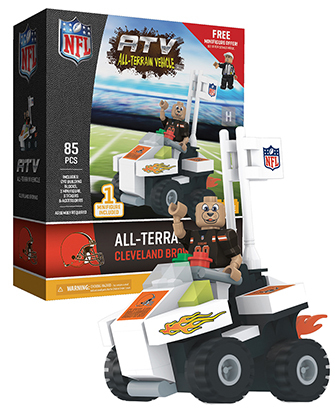 Made in the USA from globally sourced parts.